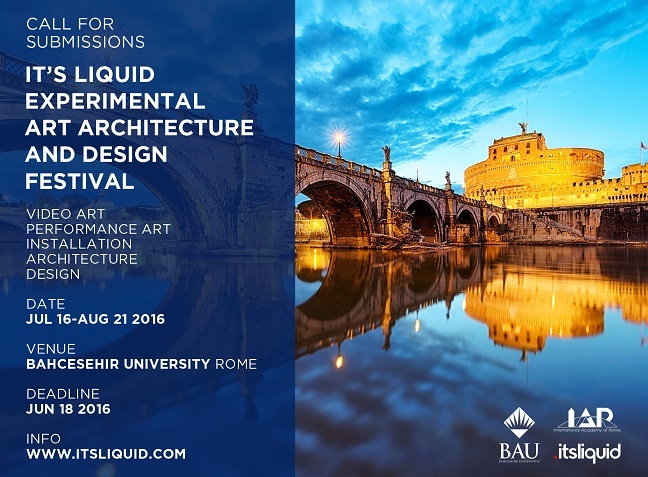 It’s LIQUID Group and BAU International Academy of Rome are proud to announce their partnership for the event It’s Liquid Experimental Art Architecture and Design Festival | Rome, that will be run from July 16, 2016 to August 21, 2016, at BAU International Academy of Rome. 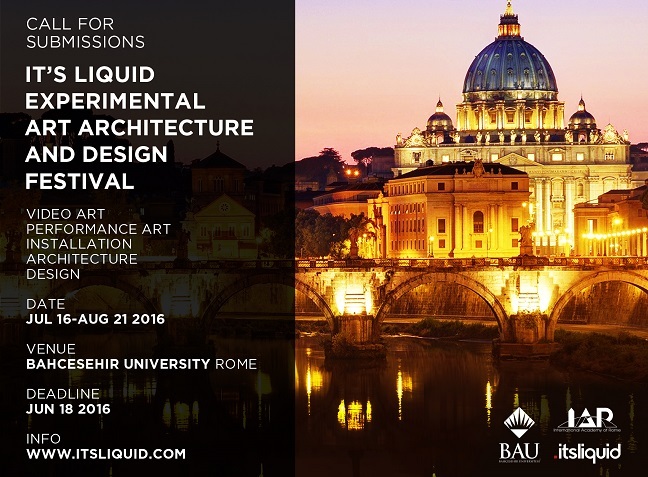 It’s Liquid Experimental Art Architecture and Design Festival | Rome, curated by Arch. 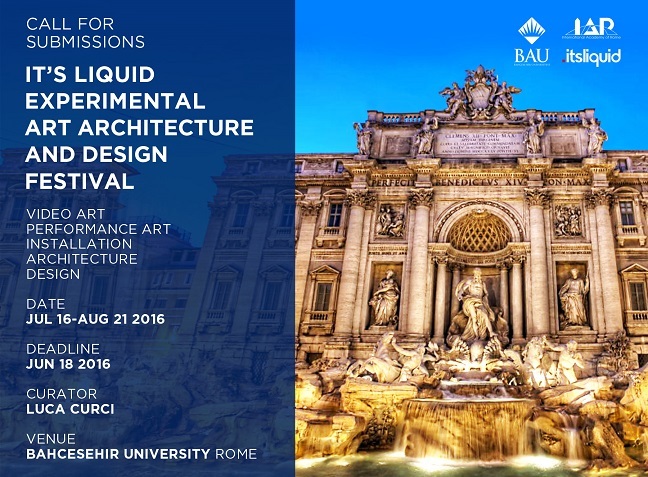 Luca Curci (director of It’s LIQUID and International ArtExpo), will be hosted from July 16, 2016 to August 21, 2016 at BAU International Academy of Rome. Deadline for applications is June 18, 2016 (11.59 PM of your local time). Artists, architects and designers interested in taking part in our shows, are free to be sponsored and supported by institutions, organizations, governments and their representers; the logos of their sponsors will be included in all the communication (digital and print) of the events. Artists are free to take part in one or more of the programmed events. The participation in the festival requires an entry fee only for selected artworks. The number of works you can submit is unlimited. International ArtExpo is a independent group of artists. Its object is to use new technologies to globalize the language of art, to connect the conceptual points of contact of artists working in every part of the world, all united in the thick plot of the world net. From painting to sculpture, from photography to digital art, all the way to video art the work is all manifestation of one will: to communicate through art, a language that transcends the boundaries of language and all political and geographical barriers and unites all religions and all people. Founded in 2001 by Luca Curci, director of the group, International ArtExpo is an international organization dedicated to contemporary art and video art that provides a significant forum for cultural dialogue between all artists from different cultures and countries. Since its beginning, the group has organized more than 120 events all around the world. Most of the last events have been realized in museums (CCCB – Centre de Cultura Contemporània de Barcelona in Spain, NCCA – National Center for Contemporary Arts in Moscow, etc. ), galleries and private foundations. More than 4.000 artists are part of the Group. ArtExpo is grateful to all institutions, corporations, and individuals that support its efforts. It’s LIQUID Group is based on fluidity, motion, connection and accessibility. Making things easy to do. Welcome. 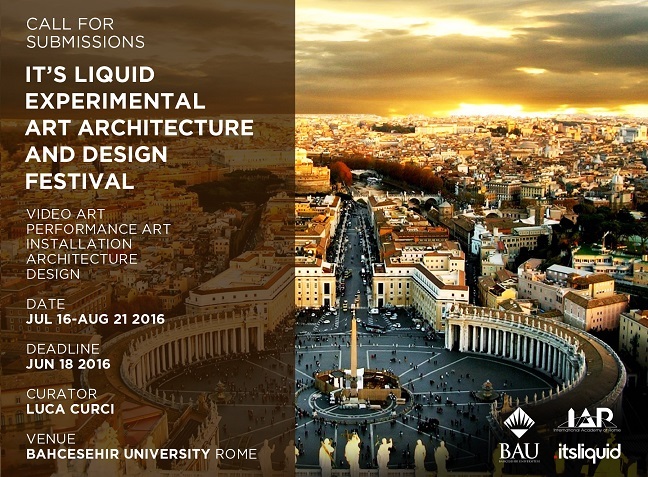 The International Academy of Rome is part of the “BAU Global Education Network”, one of the largest international groups of leading educational institutions, organized by Bahcesehir University, with 4 independent universities in Istanbul, Berlin, Washington D.C. and Batumi, 5 branch campuses in Rome, Cologne, Toronto, Hong Kong and Silicon Valley, almost 20.000 students and 1500 faculty members; 160 academic partners in the world collaborating in the offer of credit and dual degree programs; more than 2000 companies providing exciting internship and networking opportunities to our international student body; more than 180 preparation centers for university admission and 108 primary and secondary schools in Turkey, serving a population of 150,000 students with more than 7000 professors, lecturers and tutors. The mission of BAU in Rome is to create an international class of leaders, managers, entrepreneurs and creative people in the key areas of the “Made in Italy” excellence. Programs are designed for managers, artists, designers, entrepreneurs and professionals in any sector able to combine management skills and a self-starter attitude with the passion for innovation, multiculturalism and mobility beyond borders. 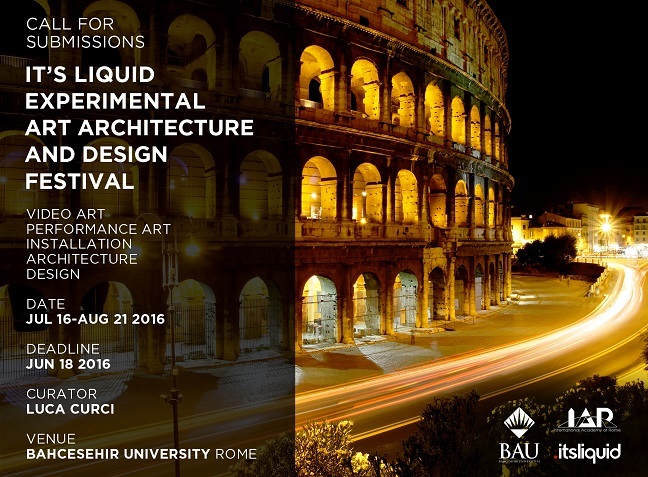 At BAU International Rome you will learn how creativity, innovation and internationalization make the Made in Italy a premium brand worldwide, and launch your career and business in the emerging markets of the 21st century. – MBA in ENTREPRENEURSHIP and START-UPS, 1 year, starts on October 5-2016.